The Arnhem Loveseat is multifunctional. Its modularity enables a broad range of applications. It is very suitable as a multifunctional workspace, in which one can concentrate and enjoy some privacy, as well as in a meeting place or waiting area. 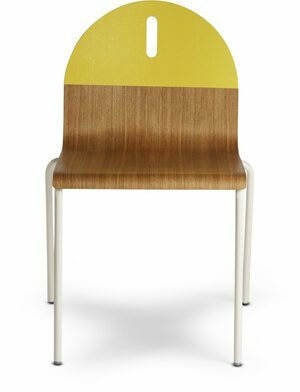 Its side and backrests are horizontally stackable, which means they can be attached in three different heights and therefore enable the application to be an open community seat as well as an enclosed room-in-room space.